I grew up in “town.” I played hide and seek, rode my bike and skateboard on the road, played board games on friend’s porches, and had to be home when the street lights went on. As I grew older, I got a part time job in retail, and then at the family Driving Range, and hung out with friends in a local park, or at the Mall. My home chores consisted of bringing in the garbage cans, general house cleaning, and sometimes vacuuming the pool. The move to being a farmer has been so rewarding for my soul. I love being outside. I love feeding my animals and collecting fresh eggs. I love going out to the bison pasture and trying to guess which ones might have a calf this season. I love ordering my seeds and dreaming of what is going to grow in my garden this year. There is so much peace in doing these “chores.” Don’t get me wrong- it can be back-breaking, stinky, and dirty, but I still love it! There is nothing like gathering food for dinner from your own garden! I have met so many incredible people during our transition into farm life. Farmers are extremely passionate about their lifestyle. I love connecting with local farmers and sharing and comparing experiences and knowledge. There is a special energy in these conversations. My favourite thing is watching other people's eyes brighten when they talk about what they love! I get so excited being able to share my passion too! That's why we have become members of local and provincial associations and committees where we can exchange information and get and give support on running a farm. This year I have big goals. We have increased the number of laying hens in our flock and are looking at getting some fancy hens, and maybe some ducks and pheasants. I recently learned how to prune apple trees so I am hoping to make our small orchard more productive this Fall. I am hosting a series of Workshops at the farm to encourage others to bring some farm into their lives. I would love to see other people experience the joy of growing their own food, caring for their own chickens, and learning about other amazing things about farm life. I plan on learning how to properly preserve some of the produce from my garden so I can enjoy it with my family throughout the winter. We are opening a Farm Store here on our property and will be selling our own bison meat, as well as food and products from our local farms. We are watching our herd grow and will begin active pasture rotation to help protect and regenerate the land. We will continue to meet with chefs and butchers to maintain and expand our customer base. 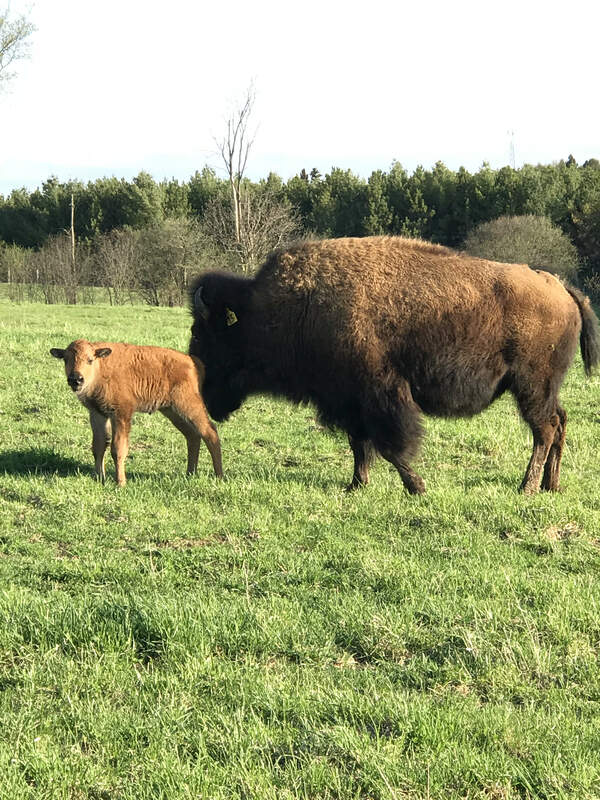 And, we will be hosting bison farmers from all around Ontario at the annual general meeting of the Ontario Bison Association. All of these things are driven by passion. Passion to learn more. Passion to know that I am caring for the environment. Passion to learn about how to provide healthy food for my family. Passion to know that the food I am growing and raising is done naturally. Passion to go “back to basics” and make a connection with the earth, enjoying all its beauty.